RC was born and raised in Corpus Christi Texas. He achieved Eagle Scout before leaving to attend Trinity University in San Antonio Texas. RC’s undergraduate education consisted of a double major in Physics and Religion with minors in Mathematics and Philosophy. This prepared him for his first post-college job: wrapping presents for the Dillard’s corporation while continuing to work on his Rock and Roll career. After the band broke up RC applied to and was excepted to the University of Houston Law Center, where he excelled at Mock Trial, being a quarterfinalist in the National Trial Competition two years in a row. While in Law school he was a Law Clerk for Justice Don Willet of the Texas Supreme Court, had a clerkship with the Attorney General’s Office, and with Bankruptcy Judge Richard Schmidt. He was inducted into the Order of the Barristers, an order for the best advocates in any law school. After graduating RC worked for the Nueces County District Attorney’s Office and the Kleberg and Kenedy County District Attorney’s Office while waiting on bar results. 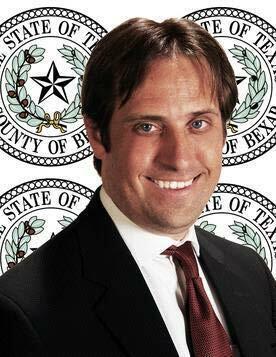 After being licensed he returned to San Antonio and worked for the next two and a half years as a Prosecutor. He left the week before his 30th birthday to start the Law Office of RC Pate, a job he enjoys to this day. RC is a member of NCDD, TCDLA, SACDLA, CBCDLA, a founding member of DUIDLA, and is proud to be a member of the board for TDDLA.